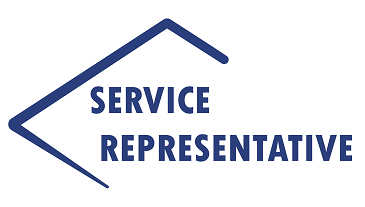 The Service Representative course introduces customer service professionals to the fundamental principles and techniques required for excellent customer service delivery. As the first, or principle, line of contact with customers, this service professional has a unique and challenging opportunity to influence customer perception and loyalty. In today’s competitive market, superior customer service is critical to continued success for any service organisation. Participants learn and practice essential skills through real world exercises and group activities to ensure skill transfer to the job and return on training investment for the organisation. The course teaches critical skills in professionalism; communication; how to manger the call and the customer; dealing with stress and cross-selling. Course participants will learn how to leverage and apply the skills to professionally communicate and make decisions, while gaining the confidence of customers and contributing significantly to customer retention for the organisation. This course also prepares participants to take the SCP Career Certification exam. Successful completion of the exam results in recognition by the foremost certification board in the service and support industry. This recognition demonstrates to your customers that you have talented professionals who have mastered the skills necessary for excellent support. Non-technical front line service professionals who work with customers to resolve problems or escalate to the appropriate department. The program provides the communication and customer management skills necessary to create a positive customer perception and build loyalty to the company. This one-day course is taught as a private class only. Class was interesting and mostly relevant to my current job. The instructor delivered a high standard presentation with interaction to the course.